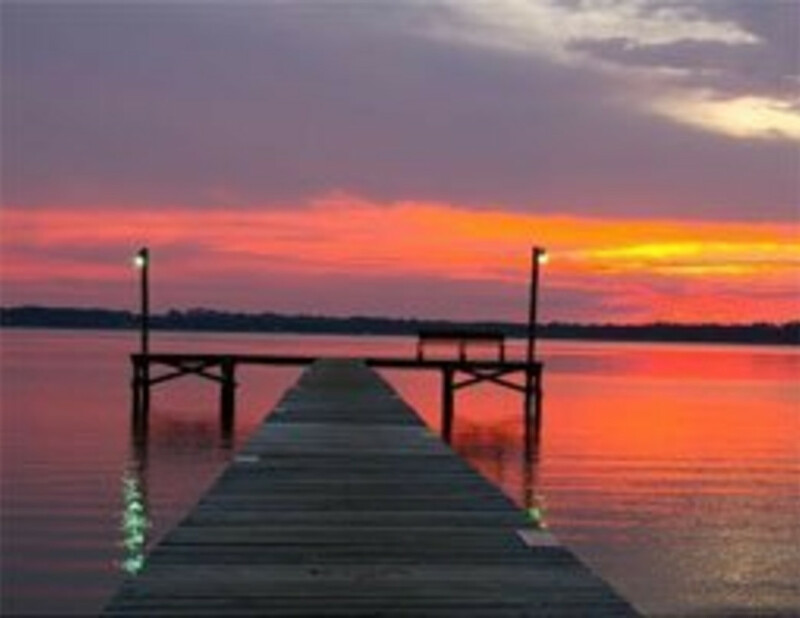 Enjoy the beautiful sunsets on Perdido Bay during the evenings on the calm waters. Camping on Perdido Bay can be enjoyed during any season. Hidden away near the Alabama/Florida state line, Lost Bay RV Resort/Gulf Shores/Pensacola West KOA lies among gnarled oaks beside the picturesque Perdido Bay. 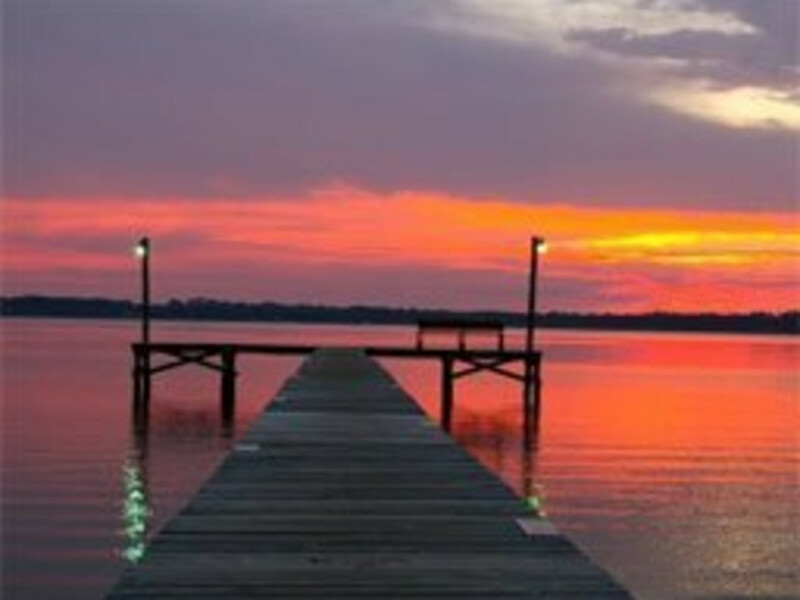 The Gulf Shores/Pensacola West KOA is located on Perdido Bay in Lillian, a very small town located near the Alabama/Florida state line on Highway 98. Surrounded by moss laden oaks and a few bluffs that dip and wind around toward Perdido Bay, the setting is quite beautiful. RV sites have concrete patios, BBQ grills, a swing, picnic table and fire pit. Waterfront tent sites have water hook up only. Pop-Up campers and tent group sites are located in the Tent Center. Cabin, cottage, and lodge rentals are available and do offer waterfront sites as well. A boat launch and fishing pier add to the many amenities. Perdido Bay and the oaks that shade the park give it a charming southern appeal. Kayaking, boating, or fishing are premium activities on the bay. Swimming is allowed and a pier gives visitors the option to fish or enjoy walking over the gentle waves of the bay. This particular campgrounds has been in service for over twenty years and is particularly popular with snowbirds. The rental lodges include sleeping arrangements for up to six people, TV/DVD’s, grills, a mini fridge, and microwave. Cabins and cottages sleep up to four persons except for the Hill Side Couples Cabin which only sleeps two. A recreational room with a kitchen can be rented as well as golf carts. Lillian has a a few stores for supplies. Chubby’s Pizza is onsite and does serve more than pizza but you will need to drive for other options. The bay offers swimming, but the best experience is from Perdido Key’s public beaches, a 30 minute drive. 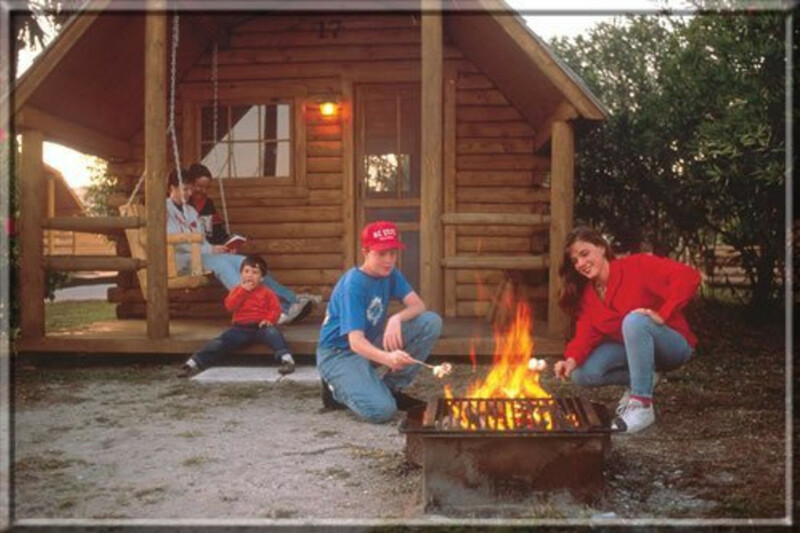 Cabin, cottage, or lodge rentals offer an easy stay for those wanting to check out the campgrounds firsthand. Some of the RV sites may be difficult to maneuver into due to a few steep dips and inclines, however most sites are shaded. Snowbirds have found this campgrounds to be especially welcoming. Tent camping is waterfront but some spots are near the pier which can be busy with other quests. Those wanting to enjoy Perdido Bay, especially if you have a boat, will find this campground a nice stop. From I-10 heading East: Take Exit 49 (Gulf Beach Express) turn east on hwy 98. Go 14 miles, turn right before the bridge on 99. Go 2 miles. KOA on left. From I-10 heading West: Take FL Exit 7, turn left and go to Blue Angel (173), turn right and go to 98, turn right and go 7 miles. Cross bridge, turn left at light (99), go 2 miles. KOA on left. If renting a cabin, cottage, or lodge, bring own linens. Only small dogs 40 lbs and under are allowed, two per site. Please review the KOA website and Lost Bay RV Resort website for more information.